For centuries, humans have dried animal muscle meat to take along on their journeys, their explorations, and their adventures. 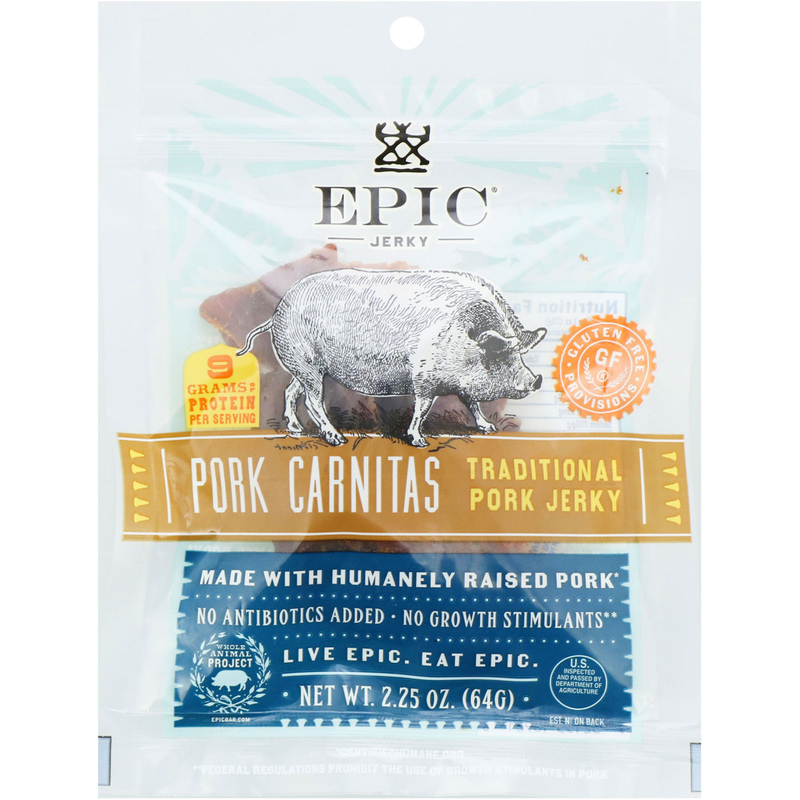 EPIC is proud to bring our sourcing and quality standards to this timeless snack and to showcase the latest evolution of EPIC's Whole Animal project. EPIC pork Jerky begins with pork meat from Certified Humane pigs, which means you can be assured that our products have come from facilities that meet objective standards for kinder, more responsible treatment of animals. 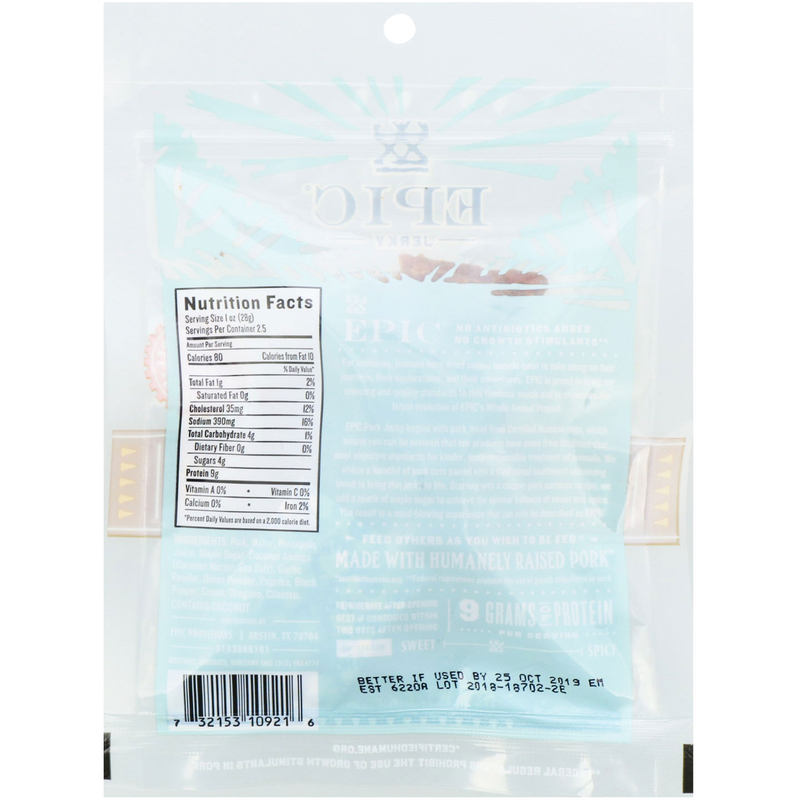 We utilize a handful of pork cuts paired with a traditional southwest seasoning blend to bring this jerky to life. Starting with a classic pork carnitas recipe, we add a touch of maple sugar to achieve the optimal balance of sweet and spices. The result is a mind -blowing experience that can only be described as EPIC! Pork, water, pineapple juice, maple sugar, coconut amino (coconut nectar, sea salt), garlic powder, onion powder, paprika, black pepper, cumin, oregano, cilantro.